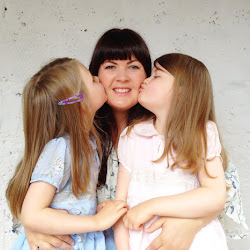 My blogging mojo has been somewhat suppressed as a result. 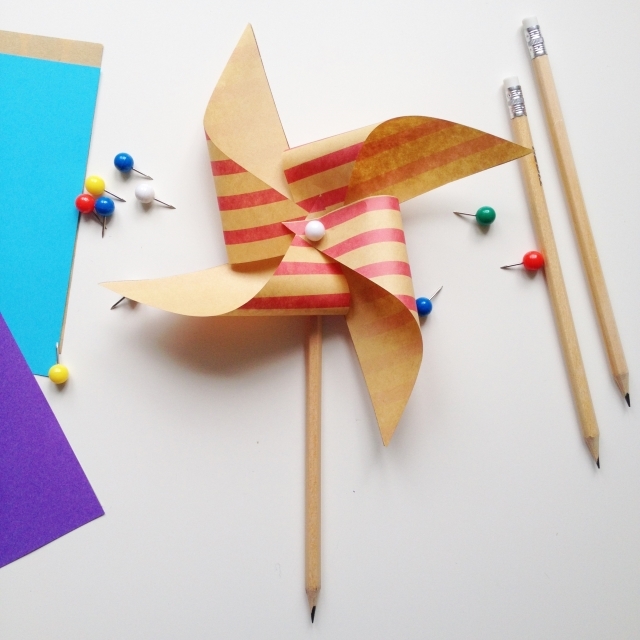 But the weather was sunny (and very windy) here today so I'm sharing this easy-peasy pinwheel craft in the hopes that it hurries the Summer-vibes along! 1. 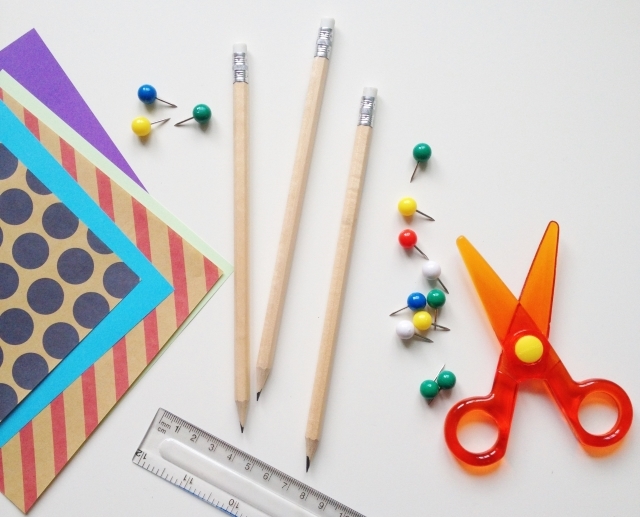 Fold the paper from one corner to the other to make a triangle shape. 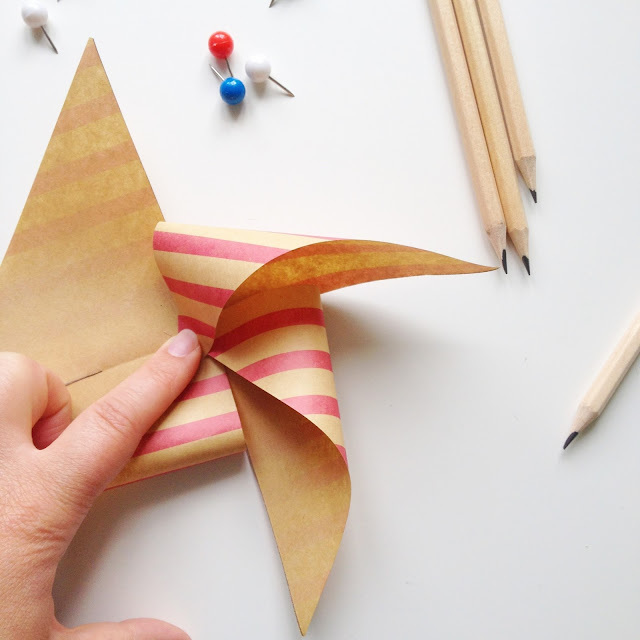 Open it out again and fold the opposite corners, again, into a triangle. 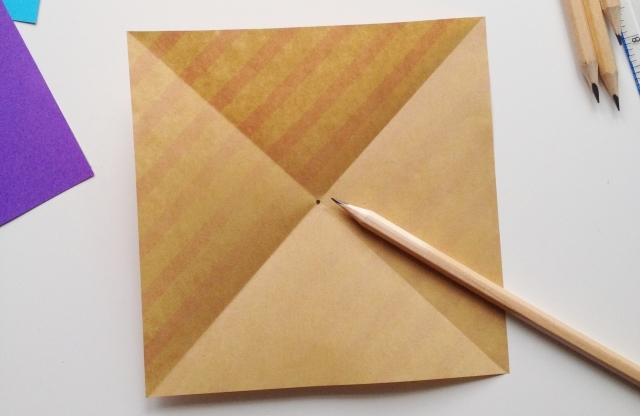 Open the paper once more and mark the center spot clearly with your pencil. 2. 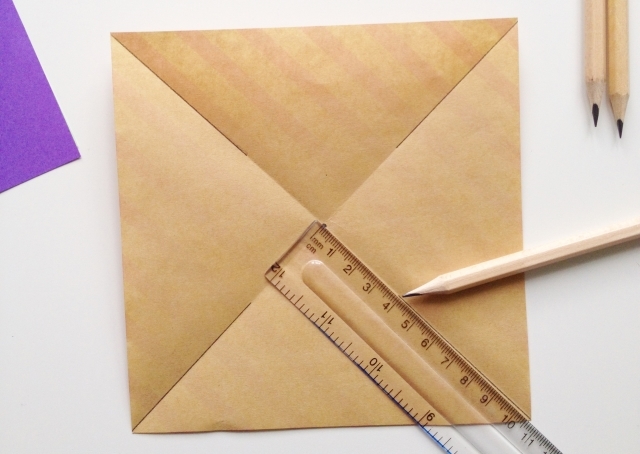 Use your ruler to draw lines, along the creases, stopping 4cm before the centre spot. Then cut along each line. 3. Now for the tricky bit! Fold every second corner into the center. Hold them in place with your finger and then use the drawing pin to secure them, making sure to pierce through the marked center spot last. 5. Carefully push the sharp end of the drawing pin into the the eraser. Be careful not to push it all the way through! You’re finished! 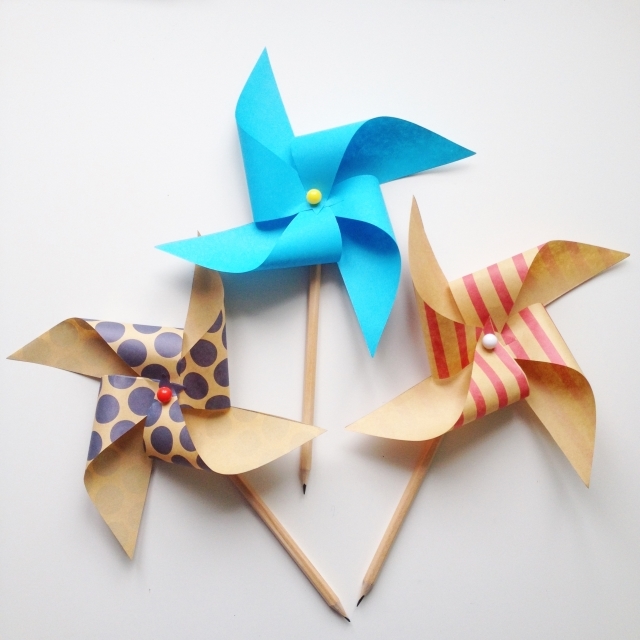 Give your pinwheel a blow and watch it spin. This project originally featured in the August/September 2015 edition of Easy Parenting Magazine. 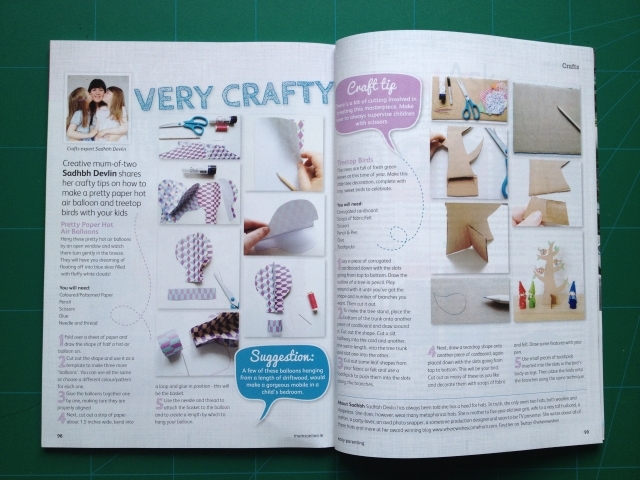 You can see more of my crafts in this months issue of Easy Parenting Magazine, which is available in all good newsagents for the princely sum of €2.00! I am going to make this right now. My middle boys loves pinwheels. He just fell and hurt himself and needs cheering up. This should be just the thing. Thanks so much for making them! I hope they cheered your boy up nicely. 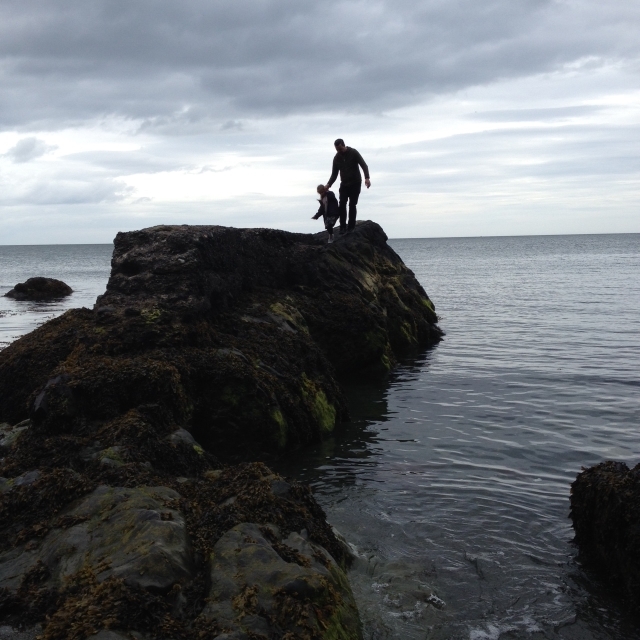 They are a cheerful sort of thing!